Greg Lyon is principal and design director at Nadel Architects, a leading Los Angeles-based architecture and planning firm. 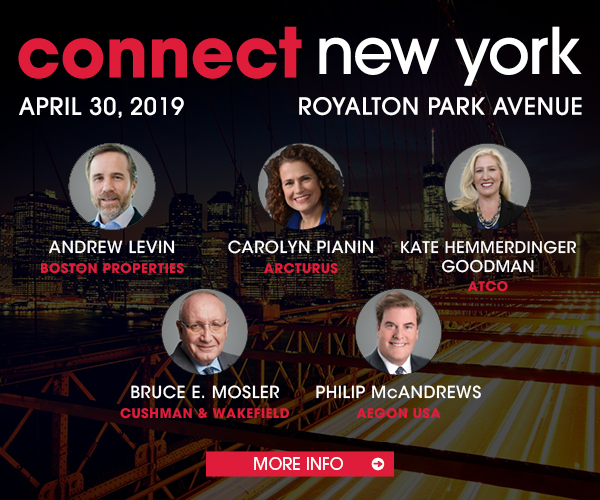 Connect Media asked Lyon to share a few insights gleaned at this year’s ICSC New York Deal Making gathering in our latest 3 CRE Q&A. Q: How is the overall architecture and design landscape evolving? What prominent trends in retail design will we see consistently in 2019 and 2020? A: Consumers are still spending their discretionary money on lifestyle experiences – travel, fitness, wellness and dining. In fact, there has really been an explosion in the culinary space in particular. In response, one of the biggest evolutions of the architecture and design landscape is the continued shift towards creating experiential space and the repurposing of existing retail spaces. As a result of the vacancies of the larger big boxes, developers are now re-thinking how they can continue to engage the consumer at the brick and mortar level, since much of the drive for commodities continues online. Additionally, the subject of sustainability has really become more than just about the practice; beyond being the right thing to do, it’s now a brand. Millennials and Gen Z-ers in particular are responding to built environments that reflect original, authentic and sustainable architecture that reflects the local community and will help to leave the same environments for future generations. Our firm has recently been developing a new concept for a project with outdoor community “living rooms” which give the people in the area and those with smaller units a place to gather. These type of public area developments will continue to be an important trend in retail design. Environmental retail is just as much about the environment as it is about environmental architecture. We have to continue to create environments where people want to live, work and spend their discretionary income. Q: What does it take to successfully redesign existing retail real estate properties for today’s market? What are the standard challenges architects and designers face? A: As I mentioned, we have to really think about how to repurpose the big box retailers; this is about dealing appropriately with the right sizing so it’s viable for another use because then you have to think about the unusable, unleasable parts. When you begin to shift uses within properties, it’s a bit of a jigsaw puzzle. As architects, we think about the space viability when it comes to the amount of leasable space with signage, egress and other key factors; it’s really an art to know how to go in and make all of the pieces work. We also like to evaluate the redesign needs from the aspect of the real estate developer. If we totally shift the use, for example, from retail to creative office space, this changes the footprint completely. Whatever we are designing we have to ensure its appropriate visibility for future leasing opportunities. We have to think about the redesign as part of the larger area development plan and creating an environment that is appealing to the target audience. For example, it may be the surrounding environmental architecture that’s important for the shopper. You may not need to invest the entirety of the budget into the actual architecture of the building, but rather, the available amenities by determining the environmental graphics that will be most appealing. When repositioning a building, there is no “one-size-fits-all” approach. There are different issues and challenges that developers and operators are dealing with. For example, a building could be underperforming as a result of empty shop spaces, but with successful anchor retailers; vice versa, it could be filled with shop spaces, but have a lack of good anchors. As architects, it’s our jobs to be able to flexibly respond to the goals of the owners and operators and create a solution that services all these needs in real estate. Yes, we can resolve a lot through design, but we also have to understand the real estate and the existing issues. Q: How are architects addressing consumers’ desire for experience in the retail setting? What are some of the design techniques being utilized to create experiential retail spaces? A: Since the experience aspect has become so important for consumers, as architects we must respond by seeing the experience through the lens of the consumer. Much of the appeal of an experience is created through developing well-amenitized retail spaces with community-based aspects, whether that’s a shared culinary table, or outdoor community space. Authenticity is also key with the discerning Millennials and their spending power which we have seen over the last decade, along with the new crop of Gen-Z-ers who are now beginning to make their own money. We must also be able to respond and take advantage of new technologies that are available, such as Augmented Reality (AR), Artificial Intelligence (AI) and the continued power of social media experiences. Consumers are not just basing their experiences on Instagrammable moments, but these moments are, however, important in shaping the overall brand as part of one’s experience. It’s very important for us to integrate all these types of technologies into the overall experience.